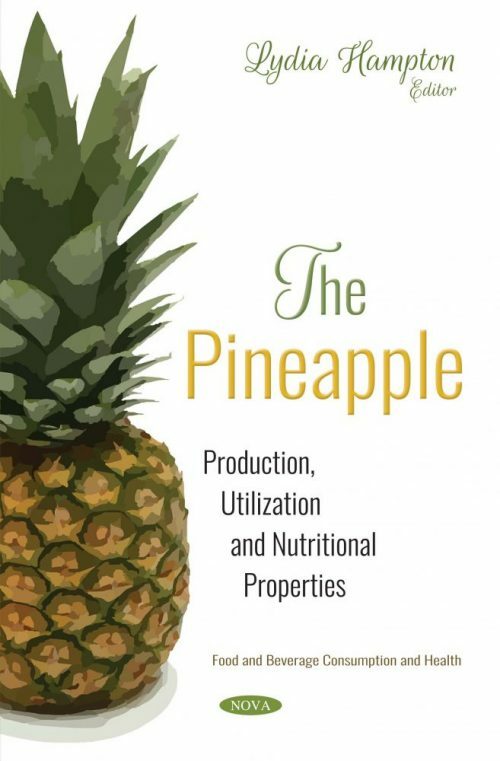 The opening review included in The Pineapple: Production, Utilization and Nutritional Properties discusses the fundamental and applied aspects related to production of aroma compounds in pineapple fruit. Using different isolation techniques (vacuum distillation, simultaneous distillation-extraction, solvent extraction, dynamic headspace and headspace solid phase-microextraction), the volatile compounds are analyzed in conjunction, mainly with gas chromatography-mass spectrometry. Internal browning or blackheart is an important physiological disorder of fresh pineapple fruit occurring during low temperature storage and a limiting factor during export. The authors discuss how phytosanitary treatments including heat, cold, or ionizing radiation can be used to control quarantine pests for market access. 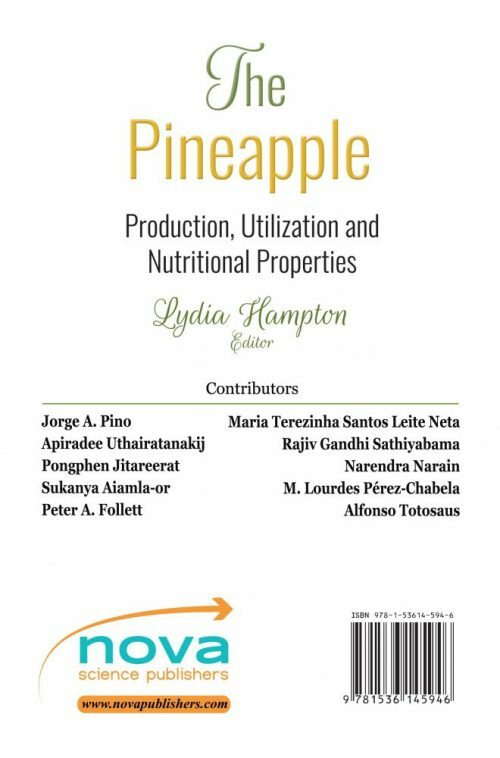 Various classes of bioactive metabolites from pineapple reported in the scientific literature (and their nutritional properties) are discussed. The effects of these metabolites on human health are vital, and thus it is extremely important to understand their nutraceutical potential and future applications. Lastly, the authors propose that the incorporation of pineapple peel flour into cooked meat products enhances moisture and texture, and improves probiotic survival during storage. Similarly, the antioxidant capacity of pineapple peel flour enhances lipid rancidity in cooked meat products.